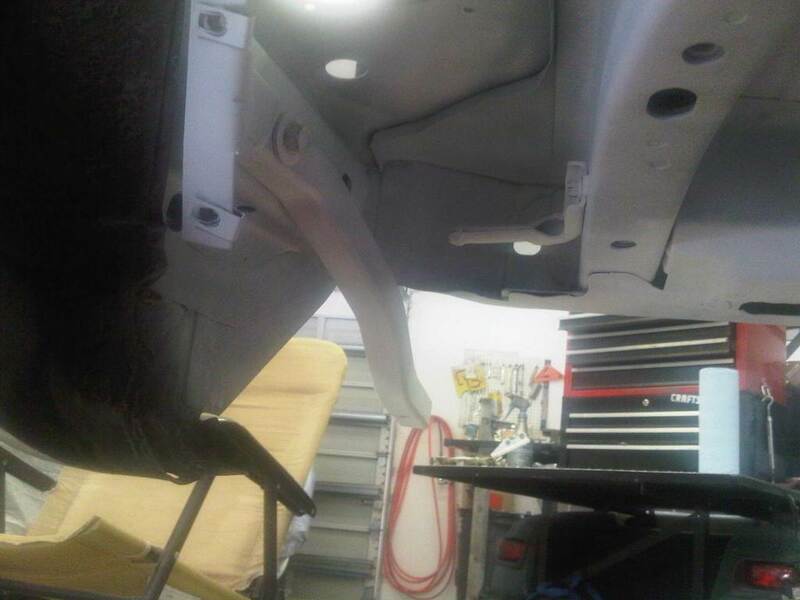 The brackets that support the rear bumper as well as the exhaust and quad-shock brackets are painted while on the car. 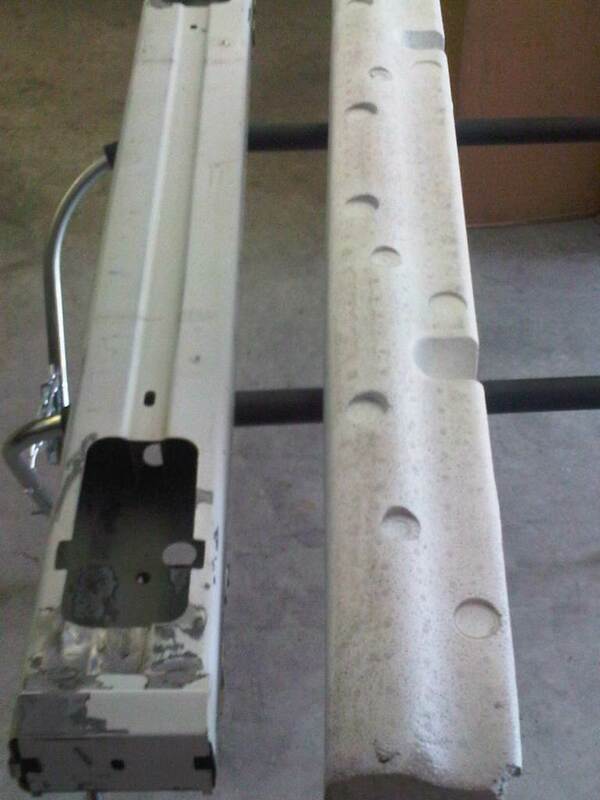 They are small enough that I am able to put them in the blasting cabinet for an easier time cleaning and removing paint. 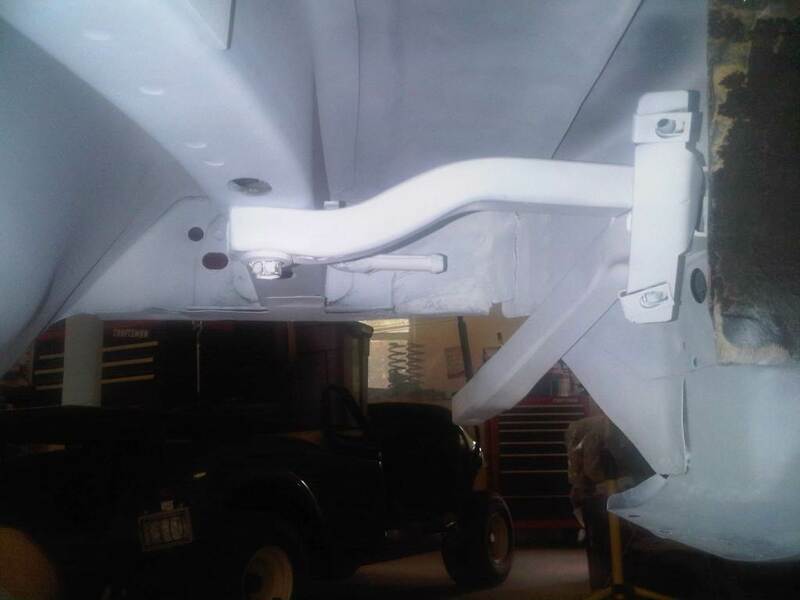 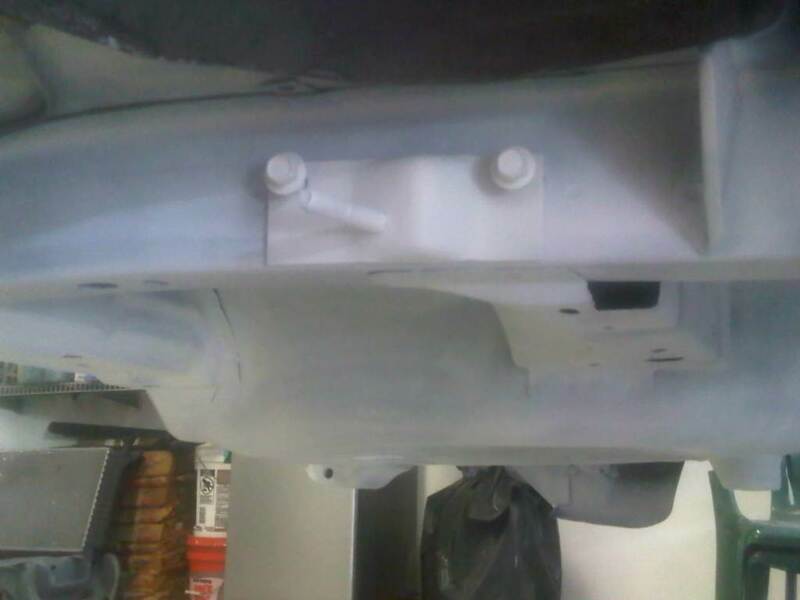 After the brackets and attaching hardware are cleaned, the were give a coat of primer and installed on the vehicle. 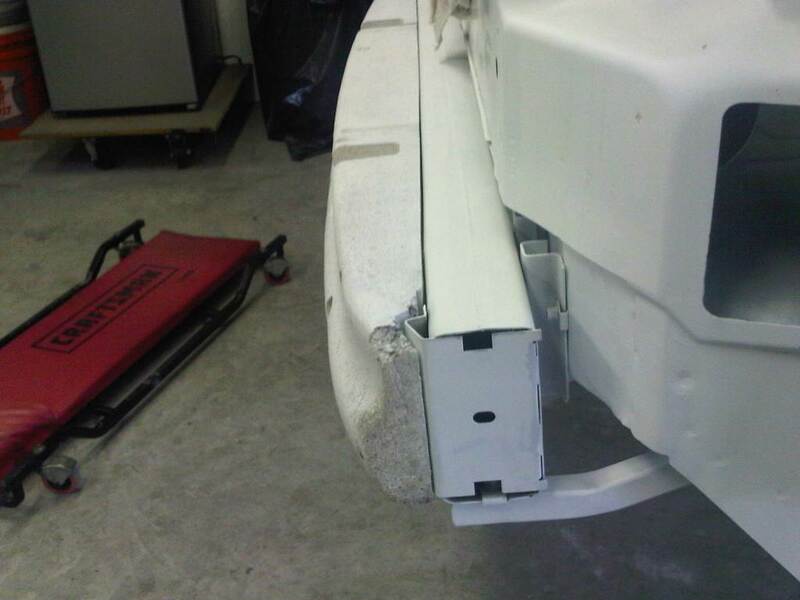 The metal part of the rear bumper had taken a hit at sometime in the past. 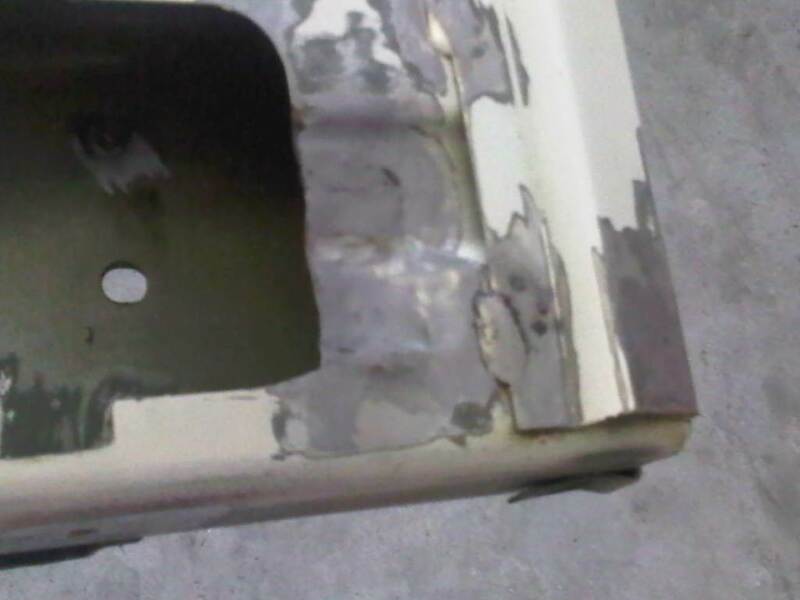 While the Styrofoam energy absorber was OK, the metal part of the bumper was torn and needed to be straightened and welded. 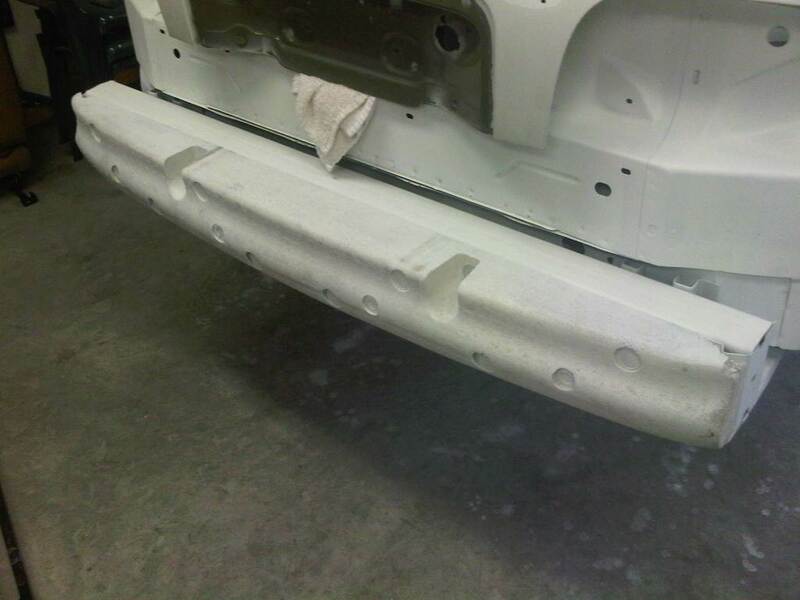 After the welding was done and the bumper give a coat of primer, I turned my attention to how the Styrofoam energy absorber was attached to the bumper. 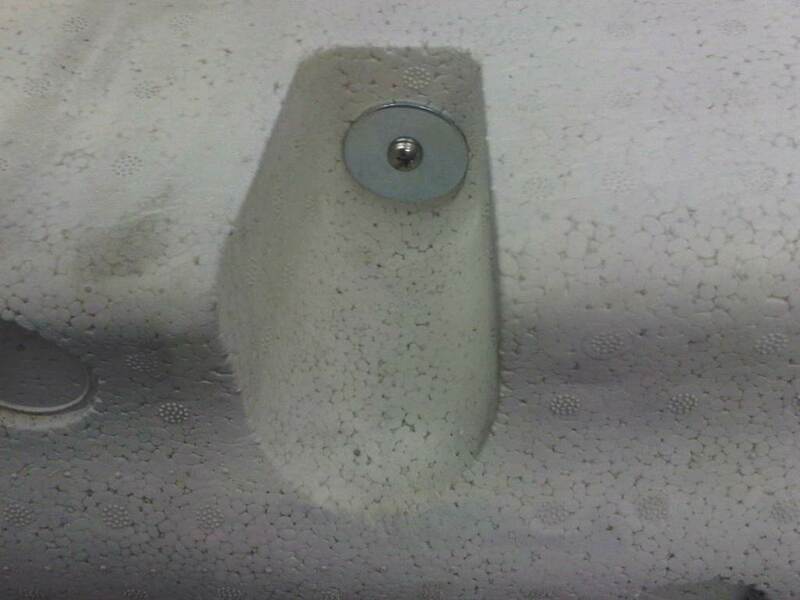 When the factory installed it, they used a pop-rivet with a large head. 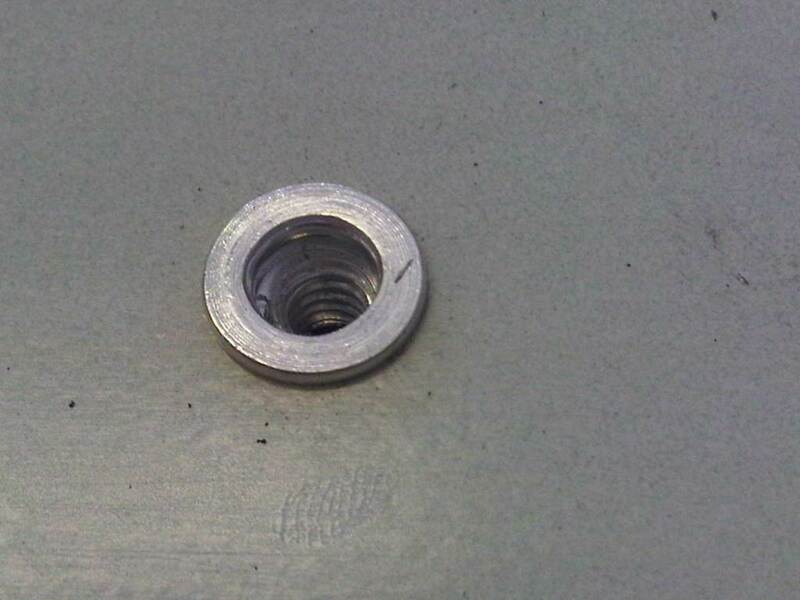 I installed a rivet-nut, which is a threaded insert that is riveted into the metal. 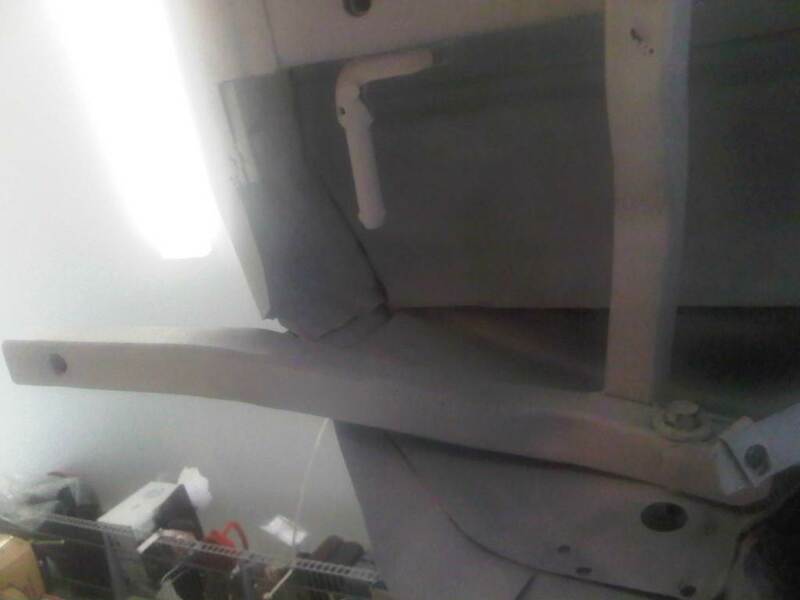 Now I can used a regular screw and washer to hold the Styrofoam on and it can be easily removed for painting.